We need to create Project Time. “Last In, First Out” is the way most treat demands on our time. That’s why we never really get time to do our important projects. Here’s a thought to correct that. Make time. Don’t try to find it. Let me explain. We deal with the important things like we deal with email. We receive an email, respond and then go to the next one. However, every tenth email or so is one requiring special attention. So, we mark it unread, and plan to get back to it when we have time. Soon we have a whole pile of unanswered emails and no time to review them. These emails are like projects. Projects come from many sources. Could be a tax form, a big estimate, or finding samples. Projects, in my world, are anything we save to do later. Of course, later rarely comes. If you find yourself in a similar situation, allow me to offer a thought. Set time aside time to do projects. How? I start with a weekly time planner. That’s nothing more than an Excel spreadsheet showing days of one week as columns, and time of the day as the rows. I break the time down into half hour segments. Now don’t use the spreadsheet to record what you have done; rather it’s to plan what you are going to do. You arrive at 7:30 am and leave at 5 pm. Nice start. Allow yourself time for structural things. Example is a morning meeting. Perhaps you need time to order paper. Perhaps, you go to the Lions club on Thursdays. Whatever the structural time requirements are, block out time to do them. Now you should see a block of unassigned time during the day. We all know where that goes. It goes into the stuff that is in front of us just like the incoming email. The missing thing is time to work on important projects. So, also block out an hour or two each day to work on projects. You know, the stuff in your pile. Great in theory, huh? Well, we first must be dedicated to doing it. Let everyone know that from 2 pm to 3 pm, or whatever time you block out, you will be heads down working on projects. Now, during this time, we can’t say that we should never be interrupted. But we can limit interruptions. 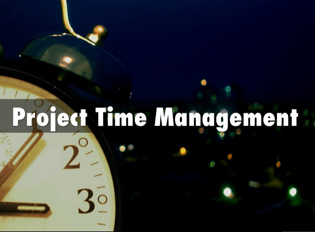 How to Create Project Time? Customers come to mind. Make an “A” list of customers, usually four or five. If so and so calls, put them through, otherwise take a message. If your interrupted for prices, ask them to take it as far as they can and then hold it until after project time. If it’s over $1,000, then it’s okay to interrupt. If someone needs a decision regarding production, it’s usually because we don’t have someone authorized to make decisions like a production manager. Or they’re not trained in how to do something, which is a project itself. Or, more likely, the job got into production without complete information. That’s a lack of order entry discipline and another project; training and assuring work orders are complete. Importantly, while you’re at it, keep track of those interruptions. Just note them on a pad. Your purpose is to see what keeps you from your dedicated project time. So, don’t track your movements all day. Do track interruptions during your scheduled project time. A South Carolina printer, during his first week of using this method, was continually interrupted to price wide format service. Why? He hadn’t developed a price list nor trained the CSRs on how to price. So, that became an immediate project. Once develop and trained, that interruption disappeared. Set aside time every day to get big things done and then do them. Keep track of interruptions and solve them. While you might never get your full uninterrupted time, you will get some time. And that’s more time than we usually have now. I know it’s simple. But try it. 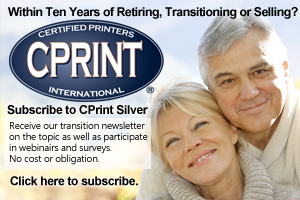 Message Tom Crouser at tom@cprint.com for more information on how CPrint International can be of help to you in your business. No cost or obligation.